At JERZY DROZD, we are proud of our commitment to service. Our prime concern is to ensure the satisfaction of our clients worldwide in response to the trust they have placed in us. The services we provide reflect the very high quality standards that distinguish our creations and contribute to their long-lasting durability. JERZY DROZD guarantees your JERZY DROZD instrument against any manufacturing fault for a period of 6 years from the date of purchase specified on the Certificate of Origin. 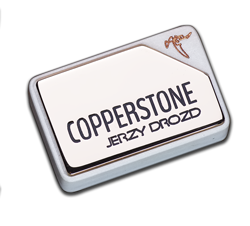 The international guarantee applies only if the JERZY DROZD instrument is presented with its Certificate of Origin togueter with its Description Card. If this docuements are incomplete or have been modified or altered in any way, they will be considered invalid and the international guarantee will be void. If your JERZY DROZD instrument shows manufacturing defect fault during the applicable guarantee period, we undertake to repair it without charge. In this event, please address to our Client Adviser by e-mail. He will advise you on the procedure to follow. The repair will be made in THE BIRD RESTORE CENTRE. THE BIRD RESTORE CENTRE is the only authorized center in the world for service, repair and rebuild JERZY DROZD instruments - and the only place where you are guaranteed that 100% genuine JERZY DROZD parts will be used to restore your JERZY DROZD. Any defects caused by improper use, by reference to the nature of the instrument or recommendations from JERZY DROZD, negligence, accident or fair wear and tear, or by any technical intervention carried out by any person not authorized by JERZY DROZD. Any defects resulting from the addition of any part or accessory not originating from JERZY DROZD. Natural cracking of wood or applied finishes on instrument or it ́s components due to changes in temperature and humidity. Potentiometers, jack input and frets are specially subject to fair wear and tear. Therefore 2 years warranty is granted on these items. Any work made by an unauthorized agent outside THE BIRD RESTORE CENTRE immediately voids the JERZY DROZD Guarantee. No claim for damages or for subsequent cancellation of the sale or for subsequent reduction of the price will be considered. This guarantee is subject to Spanish Law. All applicable implied warranties, are hereby limited in duration of the duration of this guarantee. Under no circumstances will JERZY DROZD be lialable for any indirect consequential damages of any kind. JERZY DROZD's obligation is strictly limited to repair or replace damaged parts as expressly stated in this limited guarantee. The authorized JERZY DROZD retailer alone carries sole responsibility for any other guarantees. All shipping charges, including customs and other taxes, are responsibility of the owner. Besides the magnificent support of JERZY DROZD Guarantee, JERZY DROZD guarantess setup and adjustment service for your instruments for a period of 2 years from the date of purchase specified on the Certificate of Origin. The service guarantee applies only if the JERZY DROZD instrument is presented with its Certificate of Origin. If the Certificate of Origin of the instrument is incomplete or has been modified or altered in any way, this Certificate will be considered invalid and the international guarantee will be void. Any work made by an unauthorized agent outside THE BIRD RESTORE CENTRE immediately voids the JERZY DROZD Service Guarantee. JERZY DROZD's obligation is strictly limited to give service as expressly stated in this limited guarantee. We care for your instrument from the very moment you take delivery of it. Let’s not forget that each and every JERZY DROZD, beyond its craftsmanship and technical refinement, is an investment, too. Maintaining that investment in perfect condition is our responsibility. All in all, we strive to make sure that in every stage of the experience of being a JERZY DROZD’s owner, the feedback our customer will get is going to be on a par with the extremely high level of exigency in our creations.